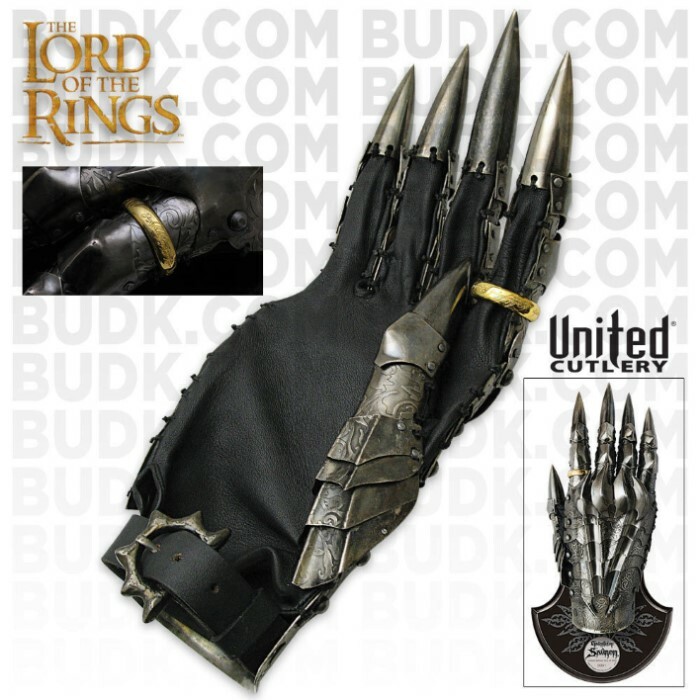 A handmade, fully functional actor-scale reproduction of the gauntlet worn by the Dark Lord Sauron in The Fellowship of the Ring. 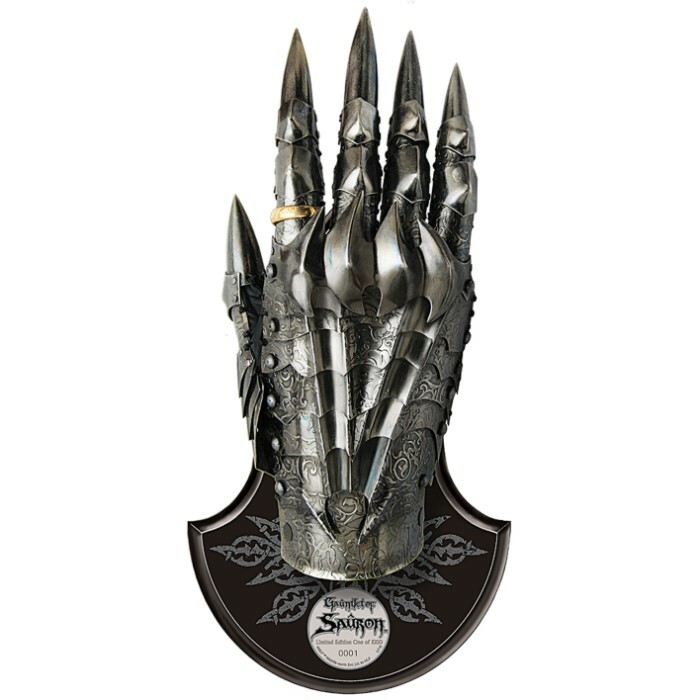 Strictly limited to 1000 pieces worldwide, each one is presented with a wood wall display featuring a Sauron graphic motif. Crafted of genuine leather and iron, the gauntlet features more than 35 plate mail parts with an iron black finish and Intaglio surface engraving. 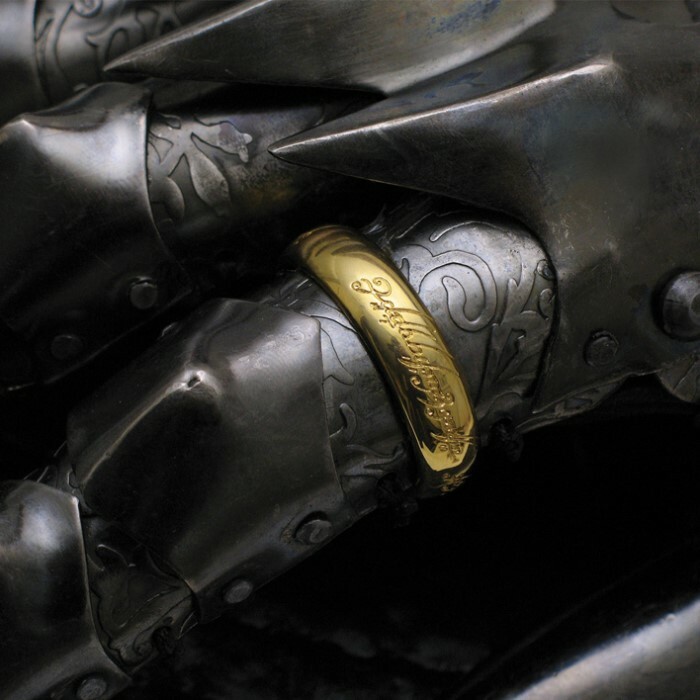 Includes the One Ring with inscription, crafted in gold-plated metal.